Public policy has always been an issue of great interest to me. The task of decision- making for societal development and progress is exciting and terrifying, when one considers the immense responsibility that such a role carries. Such decisions ought to be transparent, and should be justifiable to all the stakeholders involved, especially taxpayers and end-users. This conviction led to my involvement in Model United Nations (MUN) conferences in high school, where I participated as a delegate in various councils, and chaired the General Assembly at the national Bahrain MUN. At medical school, it baffled me that the most phenomenal discoveries in health science were unable to produce the paradigm shifts in human progress that their pioneers had initially envisioned. If health was such an egalitarian topic, why do some societies experience exponentially better health than others? As I engaged with patients throughout my clinical postings, the social determinants of health pointed towards converging disease pathways: it became apparent that the foundational systems of modern societies were not designed with health in mind. With this understanding and my high school background in policy, I collaborated with college faculty and the student council at Melaka Manipal Medical College (MMMC), in Malaysia, to offer students a platform to foster debate and discussion on pertinent global health issues. Having harnessed their support, I conceptualized/developed MedMUN (Medical Model United Nations) by contextualizing the Model United Nations policy debate platform for deployment among health professions students of various disciplines. With the help of the student body, we recruited a mixed group of medical, dental and pre-medical (foundation year) students to participate in the initiative. After participating in four, weekly training sessions (involving presentations, groups sessions and peer learning), the students then participated in the 1st MedMUN debate where they discussed international maternal surrogacy legislation. 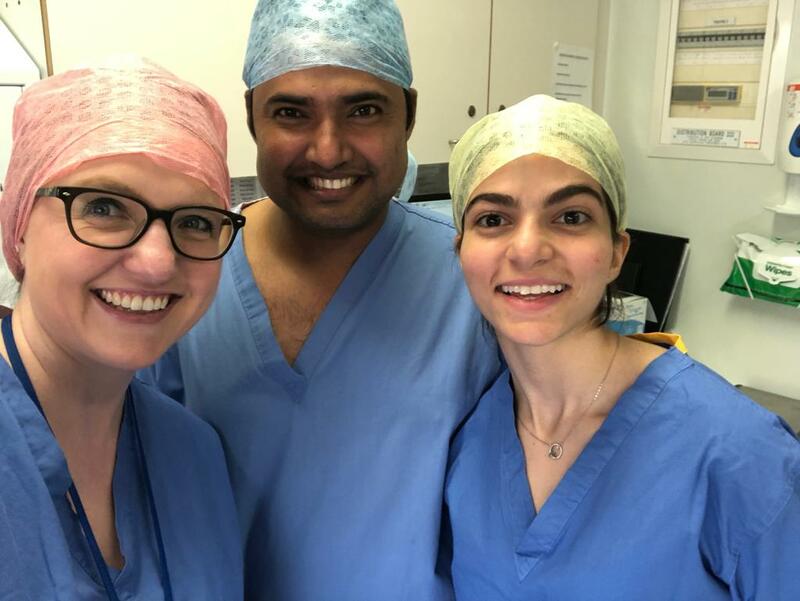 After I completed my MBBS studies, I was keenly looking for opportunities to deploy MedMUN in larger, more diverse settings, with an interprofessional focus. It was during this networking, that my teacher at MMMC in Manipal campus strongly encouraged me to submit my research entry for the Student Projects for Health competition by GEMx for the World Summit for Social Accountability 2017. 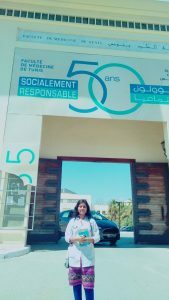 It was a proud moment to know that my project was selected and funded to be presented at this esteemed Summit at Tunisia. It was extremely special and exciting as this was my first international conference experience (please modify this statement). 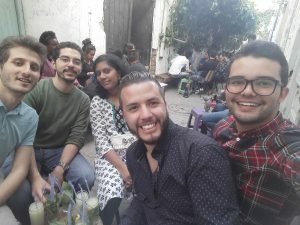 Through the Facebook group and mails from the other winners during our pre-conference preparation, I began to see the strong links that previous student winners had developed with each other, facilitated by the hard work of the GEMx and FAIMER teams. I was also fortunate enough to meet Justin Seeling during his trip to Manipal for the IQMU, and see the face behind the patient and helpful e-mails that would regularly keep me posted on developments in the run-up to the conference. 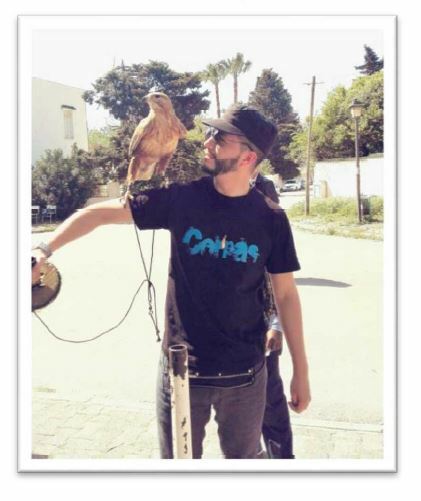 A few months later, armed with my poster and travel bag, I boarded the plane to Tunisia with Dr. Ciraj and much excitement. Disembarking at the airport, I met with a number of people, who, like me, were protectively clutching large cardboard tubes. Introducing myself, I found myself surrounded by other medical students, each with their own stories and experiences. Together, in a place we’d never before been to, we finally found our way to the waiting buses and were off to Hammamet. The bus ride took us out of the city and into the lush Mediterranean countryside. Acres of olive gardens and farms flanked the winding highway that carried us, set to the backdrop of a mountain range in a national park. The warm sun and the rhythmic sway of the bus lulled me to sleep, and I woke just as we arrived at the conference venue. It looked more like a little walled village than it did a hotel; and I learned that that was exactly what a medina was. After hovering in the lobby to finalise registration formalities, we were off, led by a sprightly young concierge to our respective rooms to freshen up. Once I was done, I headed out to explore the medina. 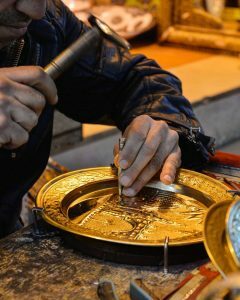 The ‘souk’ was lined with shops, replete with salesmen peddling their wares: food, clothes, souvenirs, incense, olive wood carvings. A metalworker tapped away with his hammer, engraving a metal plate as I watched intently. Sitting at an outdoor restaurant, I learnt about harissa chilli and ‘brik’, a traditional Tunisian pastry. Soon after, a snake charmer sent a live snake down my shirt while three cobras swayed lazily on a stage. I decided that that was quite enough excitement for one evening and instead went in search of the nearby Mediterranean shoreline and a quiet dinner of mixed mezzeh and a delicious steak. The next morning I met most of the other SPFH winners; each of us sharing our travel experiences and our mutual excitement at having made it to the conference successfully despite various obstacles. 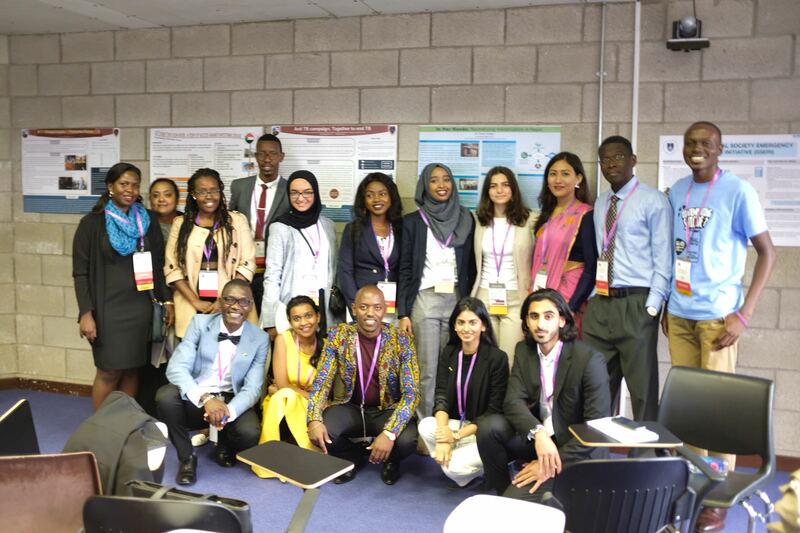 The conference began in full swing, and we were introduced to the Student Network Organisation (SNO) – an excited bunch of well- intentioned, enthusiastic medical students from all corners of the globe who networked and collaborated with other organisations (e.g. IFMSA) to promote a proactive approach to medical education. We all introduced ourselves and were immediately involved in a group activity that highlighted the main conference themes. 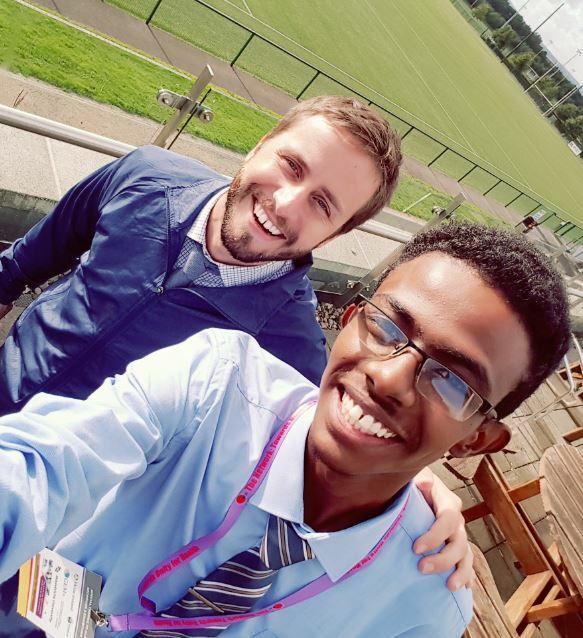 There were large cohorts of students from some countries in particular, but language and culture was no barrier whatsoever. A powerful sense of community and inclusion prevailed, and it wasn’t long before we, the new additions, were making impromptu presentations and securing new friends through it all. 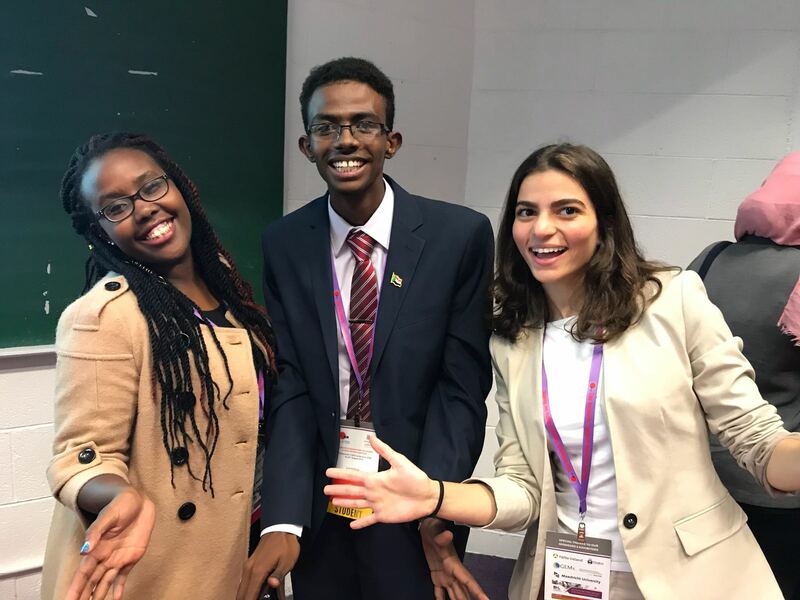 We were encouraged to maintain our involvement and affiliation with the organisation by assuming positions of responsibility in the secretariat, as regional representatives, or in the many other professional bodies affiliated with the THE Network:TUFH. I myself signed up to be a journalist for the quarterly newsletter and recently published in the June 2017 issue. Over the next two days we were given the opportunity to present our posters, receive feedback and questions, and learn from the experiences of our peers. It opened my eyes to the different ways design and implementation challenges could be overcome to achieve better community health outcomes. I was particularly enamoured by other projects which, like mine, had focused on capacity building in health policy and systems to foster systemic change in the way that health systems ensured the basic health status of their populace. This conference offered me the opportunity to network with people working towards similar goals as myself, and learn from their experiences while sharing mine too. It truly was a mutually beneficial experience for us all. 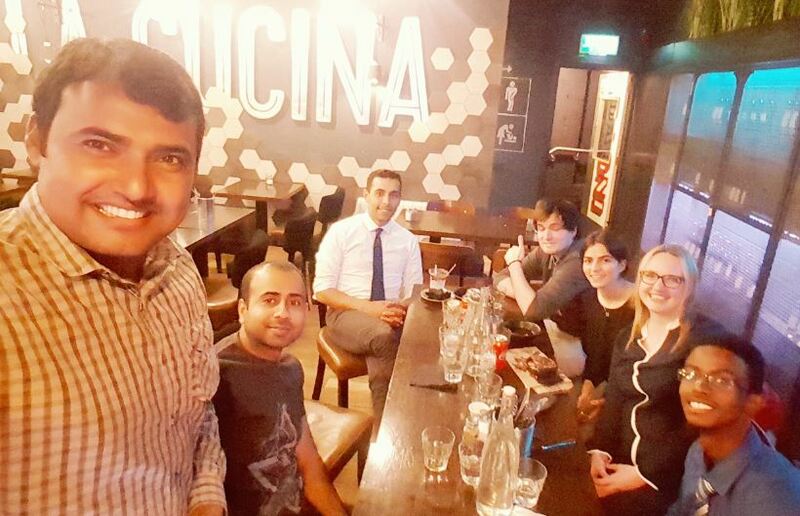 Through further seminars organised by the SNO, we discussed with, and received valuable advice from, potential mentors; drafted a policy statement representing the views of the international medical student community; and thought deeply about our roles and responsibilities in society at large. It was a wakeup call, and a most welcome one too. The summit was not without ample opportunities to socialise and mingle with our peers in a ‘less structured’ setting. Each evening provided another exciting opportunity to meet up with our newfound friends and discuss work, play, and everything in between. 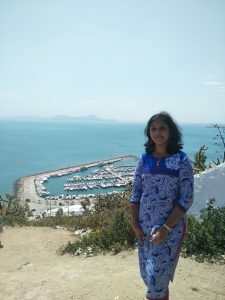 We were also able to take a tour of the historic city of Carthage, and visit Sidi Bou Said to capture some iconic photos of the region and make some great memories. Overall, the amalgamation of intellectually stimulating conversations, silly shenanigans, and barefoot midnight strolls through the freezing surf of the Mediterranean made for a heady, addictive concoction of experiences. 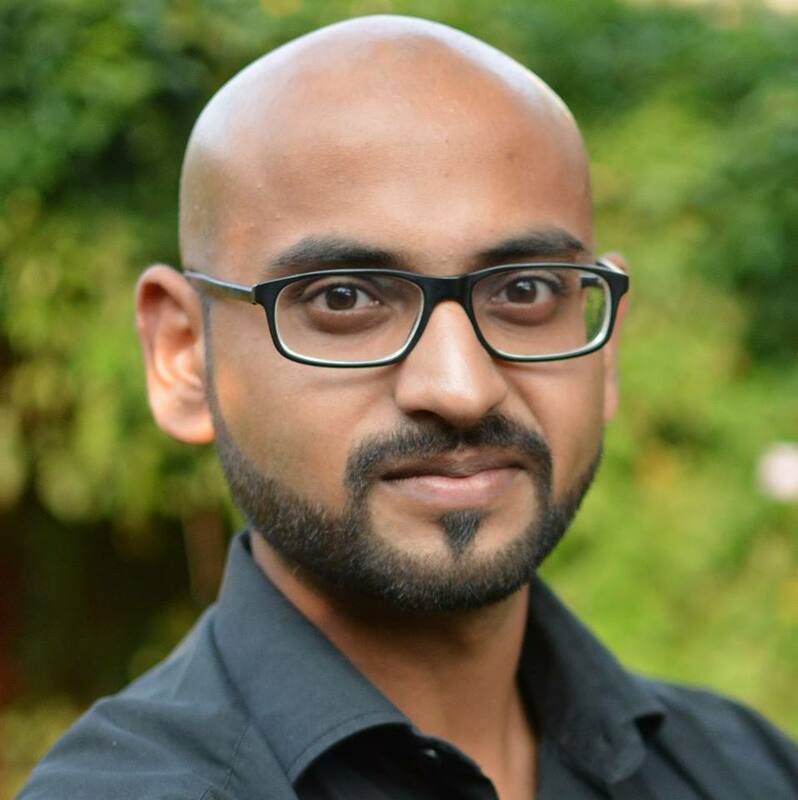 Because of the opportunity offered to me through the generosity of GEMx and FAIMER, I am encouraged to continue pursuing a career in public health, with a focus on evidence to inform health policy; and have a renewed passion to continue building capacity to improve health policy and system restructuring in India. My immediate aims are to publish my work in a peer-reviewed journal, and I look forward to collaborating with my new network of colleagues on future projects. Encouraged by the success of the project I presented, I’ve submitted more of my work for conference presentation opportunities, and will be presenting another recent project at the International Congress on Peer Review and Scientific Publication in Chicago, September 2017. 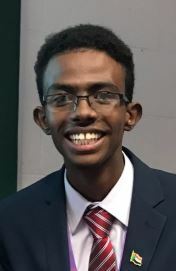 This experience has undoubtedly helped to shape my career; I will soon be pursuing postgraduate studies in health technology assessment (HTA), to use medical research together with health economics to inform resource-allocation decision in public healthcare systems for Universal Health Coverage (UHC). While much work remains to be done, the knowledge that I am just one of many who share this vision is a great source of encouragement and motivation for me. I might be tempted to say that the World Summit for Social Accountability 2017 was a truly ‘once in a lifetime experience’, but that would be to understate my desire to participate in such a conference again. No, it was a truly momentous experience; one that I hope to, once again, be a part of in the near future. 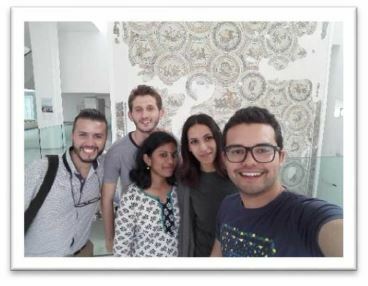 GEMx provided funds for Alejandro Avelino Bonilla of Juan N. Corpas University (Colombia) and Vishnupriya Vijayalekshmi of Kerala University of Health Sciences (India), two SNO member students, to cover their roundtrip airfare to Tunisia, accommodation fees and daily budgeted meal allowances while they undertook their internship experience at University of Tunis al Manar Faculty of Medicine. ECFMG and its GEMx program appreciated the opportunity to partner with SNO in this pilot and is honored to share their experience with all of you here! 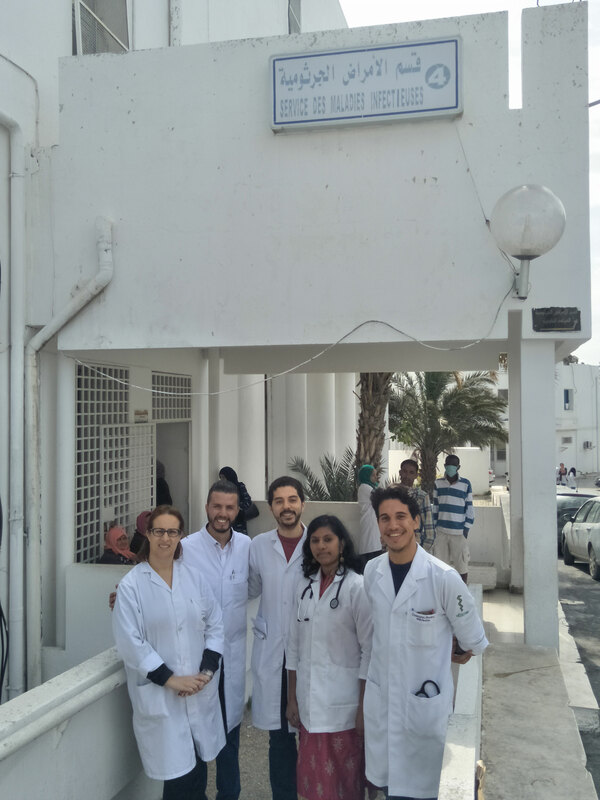 I had the incredible opportunity to do the international exchange internship in the department of infectious and communicable diseases in La Rabta Hospital. From the beginning, due to the last minute changes, it was difficult to know the details of the internship, the communication with the local organizer was almost null (which is understandable because he found himself busy working on the event). 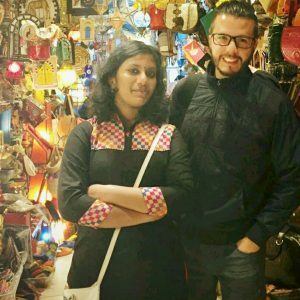 Despite these drawbacks, I couldn’t wait for it to begging, I was very excited because it was my first international internship. I felt somewhat anxious because I didn’t prepare properly about of the pathologies because the epidemiology is really different in Tunisia compared with Colombia. I knew that I would have to study a lot but I was born for challenges. For this experience I had the pleasure of being accompanied by Vishnu, a medical student from India whom I already knew but we forged a very strong friendship. The first day the head of the service welcomed us, greeted and congratulated us, then explained our duties and the day to day activities and what was expected of us. 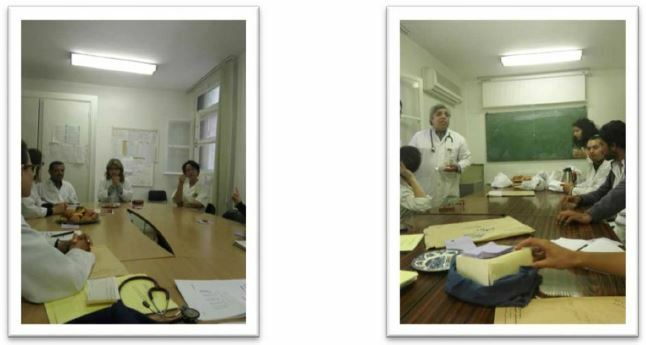 In the morning we would attend the service meeting where the new patients are presented and people from other departments ask for advice on the management of complicated patients. Then we took a brief rest and then we review the patients assigned. Vital signs, general physical examination, physical examination focused on the disease and review of paraclinics, just like any other intern. On Tuesday a general round was being held in the men’s hall, and on Thursdays through the women’s hall with the head of the service, together with all the residents and interns. The cases and its particular management were discussed and the necessary studies were requested. Every day we had lunch with someone different, we made friends quickly and they took us to different places,mainly traditional food restaurants, it was quite a culinary experience. Later in the afternoons there were classes or discussions of cases but they were done in French which was a great difficulty for us and eventually we stopped attending. We used the afternoons to study the pathologies and to know little by little the city. 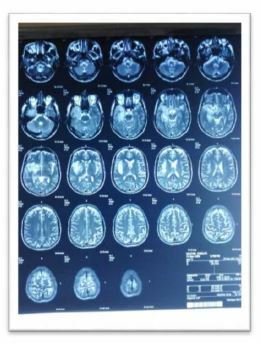 The cases in the department were extremely interesting and medium-high complexity, so that each day was more interesting than the previous one, I highlight the case of an older adult patient who suffered left temporal lobe necrosis secondary to a herpes type 2 infection And HIV. 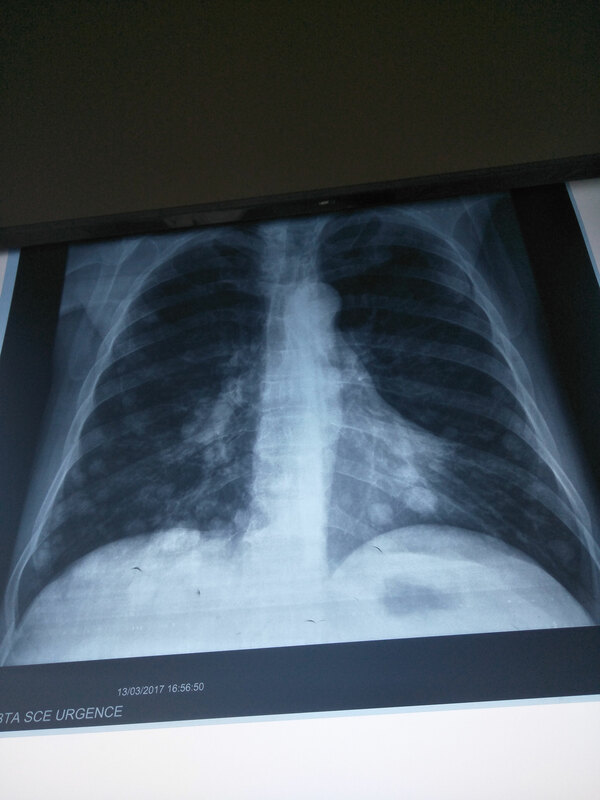 Students were key to us, many times interns and residents had too much work, so they took care of us especially to translate and help us to examine patients and understand cases. On a couple of occasions in the afternoons we accompanied the residents and students in external consultation, it was interesting to see how the people who attended the consultation were also very open to foreigners. Finally in the last days of the rotation the intensity of the questions increased to evaluate our academic performance, in some points it became difficult to answer questions in English (while speaking French or Arabic among them) having to think some things in Spanish and answer. In English, was a very beneficial experience for my mental and learning process. Vishnu left first that I, as an inmate in her hospital were expected many responsibilities and commitments and it was hard to see her leave. Being alone, my new friends took care of me and every day I stayed in the house of one of them, during these days I had the opportunity to live the day to day life of a native, clear medical student, and this forged an even stronger bond with my friends and with the country. All the time they were waiting for me, if I wanted something, if I had already gone to all the places, etc … I felt like in my country, surrounded by my best friends. The last day was difficult to say goodbye to the members of the service, in fact it was easier for me to leave a letter, than to tell them what I felt because I can be too emotional. 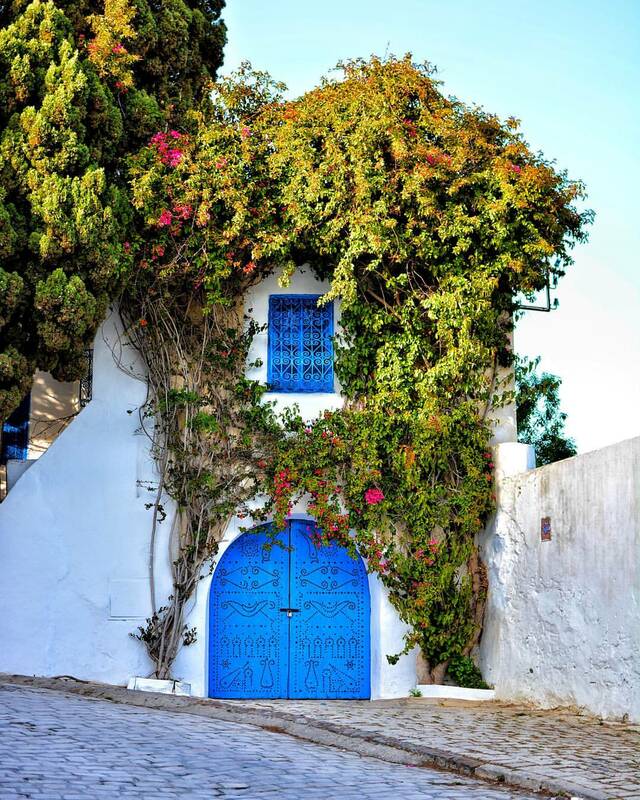 After saying goodbye to each of my friends and acquaintances, I went home to prepare the suitcase and left Tunisia but I carry in my heart a part of this country, its people and its food. It was one of the most wonderful experiences I have had and I have to thank GEMx infinitely for this opportunity. 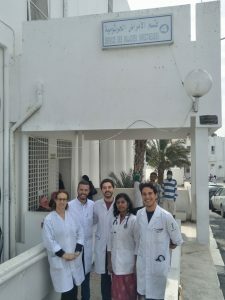 From all this experience, I can say with conviction that the most important thing I learned in Tunisia was that no matter the country, medical education and clinical practice have great similarities, they face similar difficulties and the medical team must come up with plans so they can provide the best service with the means available. I remember that in my motivational letter to apply mentioned the fact of knowing the health system of other countries to complement my training and my projection to one day be health minister, and now after this internship I must say that this goal is stronger than ever. 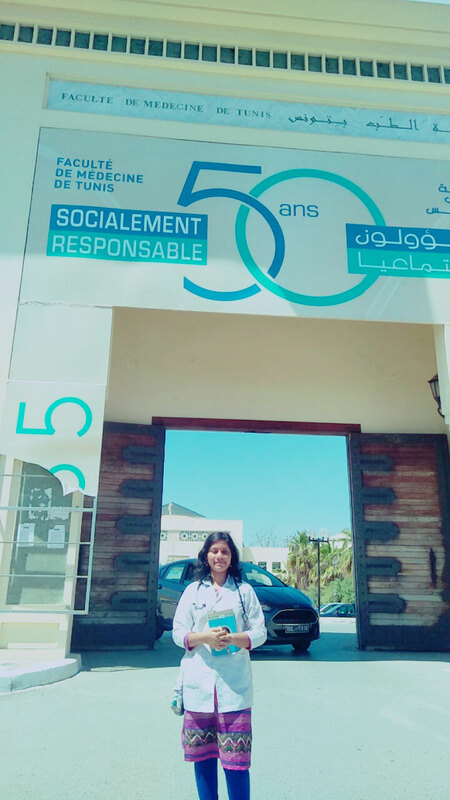 My passion and my future is public health and this experience has strengthened me and motivated me to continue working hard and so, someday, to be able to generate a big impact on the health of communities. Finally I learned that the love for medicine, the devotion to patients is the same in Colombia, India or Tunisia. Physicians and other members of the health team are willing to make large sacrifices for the benefit of patients and communities. It is the beauty of this art. The idea of carrying out a study on antimicrobial resistance arose, in which the characteristics of each country are profiled and evidenced and then a global comparison is made. This project will be developed from SNO and I will supervise this personally as President of this organization. I want to thank GEMx infinitely for this opportunity, it has strengthened and motivated me psychologically and academically. My motivation to look for my future could not be clearer and stronger. 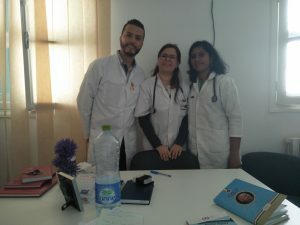 As a medical student,it was my dream to go for an exchange program and to experience the culture and to learn about the health care system in a different country.From my high school days,Tunisia has always fascinated me with its diversified culture and tradition.I was really excited when I received the mail,mentioning that I have been selected for the exchange,that too in the University of Tunis El Manar.But the initial excitement later became confusion and sadness when I had some unexpected trouble with the visa.Till the last moment.l was not sure if I will be able make to it.But finally,everything ended up well and I could attend the World Summit on Social Accountability and fulfill my long cherished dream of an exchange program. The essence of an internship program is team work.I was quite sad when I came to know that the other 2 selected winners couldn’t make it to the exchange.But finally,it was my pleasure to have Alejandro from Juan.N. 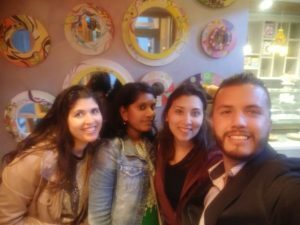 Corpas University,Colombia as my companion .Though we have known each other for the past one year,the internship was the beginning of a friendship for a life time and a couple of beautiful memories. The day we reached Tunis,the acivity co-ordinator,Chiheb gave us a warm welcome and took us to the apartment arranged for us at Manza Zanc.Though it was distant from the university,the apartment was really nice and we were comfortable.The only little problem,was the communication with the owner,who speaks only French and Arabic. The next day,we were taken to the Hospital La rabta,department of Infectious and Communicable diseases.As I hail from Kerala,a state in the southern part of lndia,where infectious and communicable diseases are quite prevalent,I was really curious to learn about the cases here , make out the similarities and differences and learn the treatment modalities. After a quick and brief introductory session,we joined the case presentation session in the morning.Though it was in French,the interns (Aziz and Ousama) did a great job translating it to English and making us feel comfortable.After the session,we were given briefing about the internship timing and the activities we were supposed to do in the department. Clinics started with the case presentations in the morning which were very informative.lnfact,the difference in the spectrum of infectious disease as compared the Indian scenario made it really interesting.After the session,we joined for rounds,where the faculty ,residents ,interns and externs discussed about the cases ,in between questions were asked and the professors clarified our doubts.There were 2 floors -one for the male and the other for the female patients.In spite of the busy work,they managed to teach us about the different treatment regimens and we did clinical examination as well.The students(externs)were also really helpful.We also had the opportunity to join the consultant in the out patient department .We also made a point to read about the cases we saw at the hospital,once we were back in the apartment.A fact which deserves special mention is that,even though language was a barrier, the hospital staff and the patients were very friendly and we felt like being in our home country,in our own hospital and that made us really comfortable. In the afternoon session,there were seminars and case discussions.But since everything was in French,we attend a few sessions and then decided to utilize the time to explore the beauty of Tunis and savour the diversified Tunisian cuisines.In spite of the busy schedule,our Tunisian friends spared their time and made sure that we visited the historical places in Tunis ,and enjoyed the traditional Tunisian dishes.As someone who is allergic to egg,I was worried regarding the food,but I was really happy that my friends were all very understanding and took care of it very well and never made me feel that I am all alone in a foreign country. Altogether,the exchange program has been the best thing ever happened in my life. lt was a great opportunity to learn,to observe and explore,but above all it was a wonderful chance to make friendship which would last for a lifetime and take back a bunch of indelible memories.Not even a single moment,we felt that we were far way from India and Colombia and were in a different country in a different continent./ had to leave early,and I was literally in tears when I said bye to Alejandro and left him alone ,as in those 2 weeks,we had really become best friends. Its hard to bid adieu to people and places which gave us so much to remember.The country,the people,the food ,had already taken away a piece of my heart and saying bye to my friends who gifted me the best few days of my life was so hard and I tried my best to hold back the emotion and promise them that I will come back to Tunis .….. ...……......…. 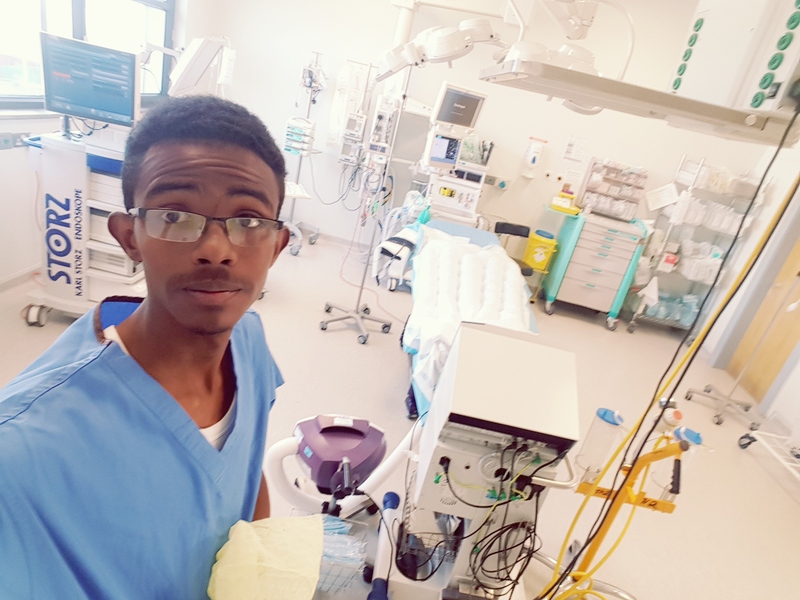 As someone who is really interested in medicine,the first hand experience in the department of infectious and communicable diseases,strengthened my passion for the subject and has inspired me to be a good clinician and dedicate myself for the service of the community. Even though,there is no similarity at all between the community in Tunis and lndia, l could find similarities in the patient care and the treatment practices and the differences which I could make out in the treatment regimens and the diagnostic approach of the cases can be disseminated among my community and shared with the medical professionals and it can open up the door for future advancement in the arena of patient care. Above all, l learned that in spite of the dissimilarities,the essence of medical profession,is team work,sharing of knowledge and having an attitude of empathy and concern for the patients and as a future health care provider, I have to develop all these qualities and be the flag bearer for the betterment of the society. Antibiotic resistance is an emerging problem in the global scenario.Different studies have been conducted on this at regional and international levels,but SNO has the planned to conduct a study on this ,with student community as active participants. The spectrum of antibiotic resistance in different countries will be assessed and a meta analysis will be made at globallevei. 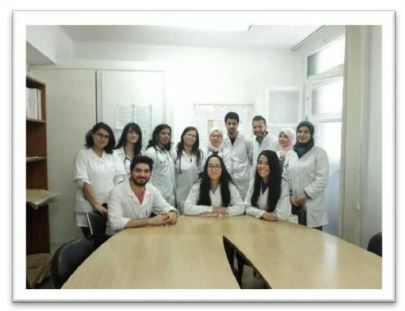 As the first step,it has been discussed in an interactive session with the students at the faculty of medicine,of the University of Tunis El Manar and the study will be the prime initiative of the SNO team 2017. 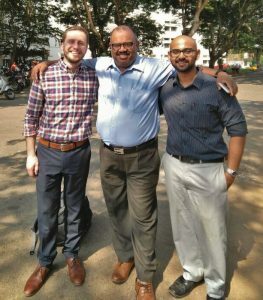 Church Medical College,Kerala,lndia which is in partnership with the Indo-US Health & Medicine Collaborative.The department is really interested to receive students from around the world and give them first hand experience in trauma care.The outline for a 3 week training programme,dividing trauma care into 3 phases: pre -hospital,in-hospital and post-hospital care is in process and will be sent soon for approval from the Kerala University of Health Sciences. 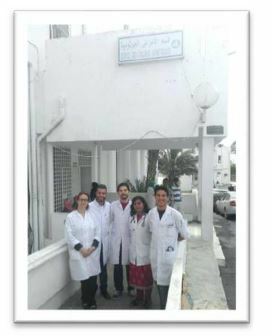 The SNO Team 2017 is looking forward to work on this,with the continued support and encouragement from GEMx and believe that just like the amazing experience we had in Tunis, this would widen the horizon the students and will be an asset in their career as the future health professionals. 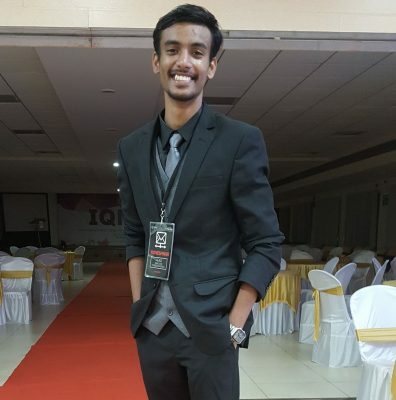 How did you get involved with the IQMU event? Can you speak about the exchange of knowledge, both medical and cultural, that took place during the event? A quiz event is a great means of sharing of knowledge and incorporates friendly competition which is essential in building professional partnerships. Including cultural performances in an existing quiz event adds a mix of cultural knowledge about the rich heritage of the country and promoting lifelong interaction among all participants. We are proud to say that IQMU has achieved this at long last and we hope that we can build it far better in the coming years. Did you learn anything about GEMx and global exchanges, or ECFMG after the opening presentation and presence at the event? GEMx played a key role in explaining the importance of academic exchange programmes to all the students present and that GEMx provides great opportunities to interested students. Do you have any more comments or things that you’d like to mention about IQMU and its aim to grow globally? IQMU has just begun and our aim is to steadily build a platform for the exchange of culture and heritage between students of all countries. Unity in diversity among all medical students around the globe is what we hope to strengthen in the coming years. For more information about the IQMU event, please visit https://www.plexusmd.com/event/IQMU18 and follow their Facebook page. 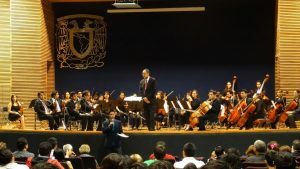 The International Contest of Medical Knowledge is an initiative launched back in 2013 by students from the Faculty of Medicine of the Universidad Nacional Autónoma de México, an event for undergraduate medical students all around the world, that through a healthy/fair competition and cultural activities they get to exchange experiences in practice and knowledge on the general medicine field. GEMx has proved to be invaluable support for the event, as sponsors and allowing CICoM to grow with their international network. Since then, CICoM has become a valuable and innovative tool in medical education and has welcomed universities such as Fundación Universitaria de Ciencias de la Salud (Colombia), Universidad Pontificia Bolivariana (Colombia), Universidad de Manizales (Colombia), Universidad del Rosario (Colombia), Universidad de Chile (Chile), University of Sharjah (United Arab Emirates), University Medical Center Groningen (Holland), Kasturba Medial College (India), Universidad de Murcia (Spain), Obafemi Alowo University Ile-Ife (Nigeria). 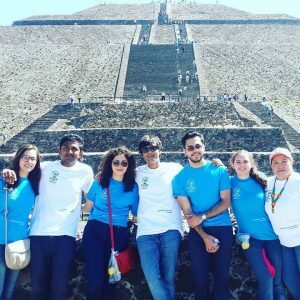 This year, CICoM 2017 will take place at Faculty of Medicine of the Universidad Nacional Autónoma de México on November 15th-17th, a perfect opportunity to broaden your medical knowledge, learn about Mexican culture, and meet the future leaders of medicine from all over the world. Besides the competition, activities such as workshops on anatomy, histology, surgery, and medical scenario simulation will be imparted. 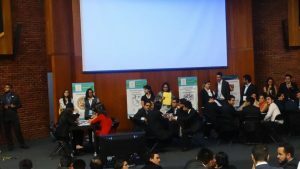 Also a tradition in CICoM, a medical fair with different organizations and medical publishing houses will be carried out simultaneous to the contest. Do not let the chance of participating in this event go by! Seize this opportunity to expand your horizons and create memories you will cherish forever! Register now by sending an email to inscripcionescicom@gmail.com . For more information log to http://www.cicomedic.com/ . 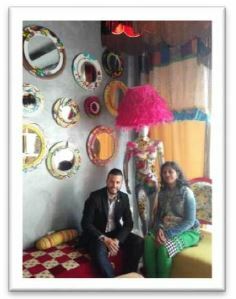 You can also visit us on Facebook https://www.facebook.com/CICOM-1398951420369933/?fref=ts .